Recently, I received a t-shirt from a friend in Cape Breton with the slogan, “Farmer is the New Hipster!” Now, I won’t begin to search for parallels between the hipster movement and the environmentally conscious farmer but I will attempt to impart some advice for the aspiring pastured chicken farmer that would apply regardless of one’s background knowledge, level of experience, affinity for animals, or facility with growing produce. Perhaps, in the process, we can establish some truth in the statement. First and foremost, acquaint yourself with literature on your agricultural topic of interest. The copious number of books penned by Joel Salatin would be an excellent place to start as he covers a range of topics for the modern small farmer, which apply to all arenas of agricultural interest. He truly is the man that could swing the pendulum of food control back into the hands of the consumer and farmer. Before you pick up any garden implement or construction tool make sure you have a plan based on research before you make a foray into food production like pastured chicken. Undoubtedly, unforeseen circumstances will arise but having some level of preparedness for predation, disease, etc. will greatly reduce the level of stress in raising animals and crops. For those of you planning on raising farm animals for your own personal consumption it is important to have an attitude of caring and devotion to these animals, as life is precarious. If farming to make roads towards sustainability and the next generation is something you have in mind, don’t hesitate to build a library for your own future farmers. What better way to instill a love of reading than to model it to your children. Be a risk taker. A decade ago, I came across the inspirational quote, “Without risk, nothing new ever happens; without trust, fear creeps in; without serendipity, there are no surprises.” At that time I had no idea about the quote’s meaning. Today, I have a different perspective. 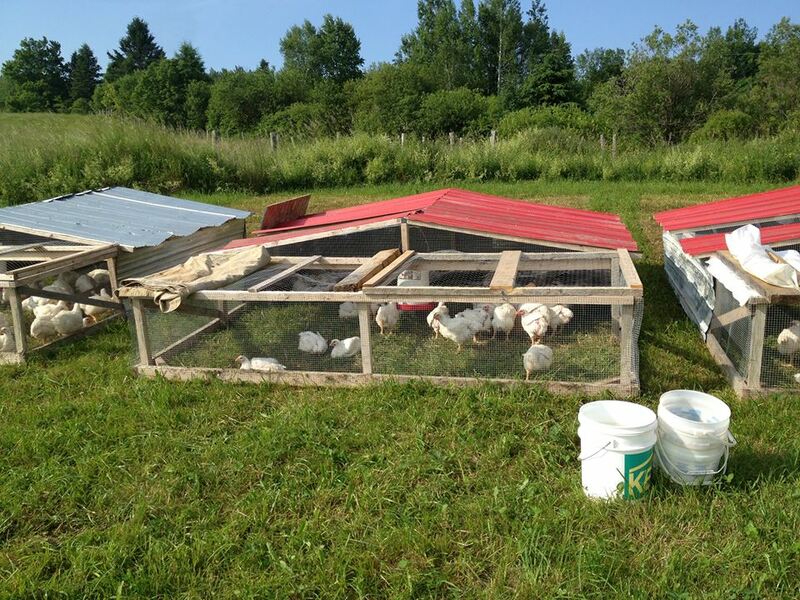 As a farmer who is transitioning towards a more and more grass based feeding system for our livestock, I had to take several risks at different stages in my decision to raise pastured chickens. I had no previous carpentry experience, yet I constructed two separate chicken coops and three chicken tractors. I had to trust that my designs covered all the necessary requirements for proper animal husbandry of chickens. As much as possible, believe in yourself and don’t let the voices of naysayers and doubters be a hindrance toward realizing your goals and living by your principles. Meat king pastured chickens foraging inside their poultry pens. Find a routine that suits both you and the livestock. There is nothing worse than a lazy/negligent farmer. On the odd occasion there will come a day where you don’t feel like getting up early but the reality is animals that are under your care need you up early if they are going to get their new piece of salad bar. Animals require consistent care so try to be as observant as possible on your visits to check on the livestock. An injured chicken, for example, should be separate from the flock immediately to be given proper diagnosis and care. Plan accordingly so that the amount of work you take on doesn’t exceed your capabilities and try, as much as possible, not to fly solo. We are social beings by our very nature and why would we attempt to manage and steward social creatures such as cattle and chickens if we ourselves are not going to share in the workload and the success that comes from it. Be transparent. Engage the consumer in conversation about farming and agriculture. You’ll be amazed at what they know about the global food system. You are guaranteed to learn something if you take the time to listen to their concerns and ideas. Start a website or blog to keep the food consumer informed about what’s happening on your farm. There is no substitute for good farm outreach. Most people are lifelong learners and are always looking to learn a thing or two, especially about food and the related health benefits. Setting aside the requirements for acreage rental or ownership, it’s best to have some kind of job or means of income to support your farming endeavours. 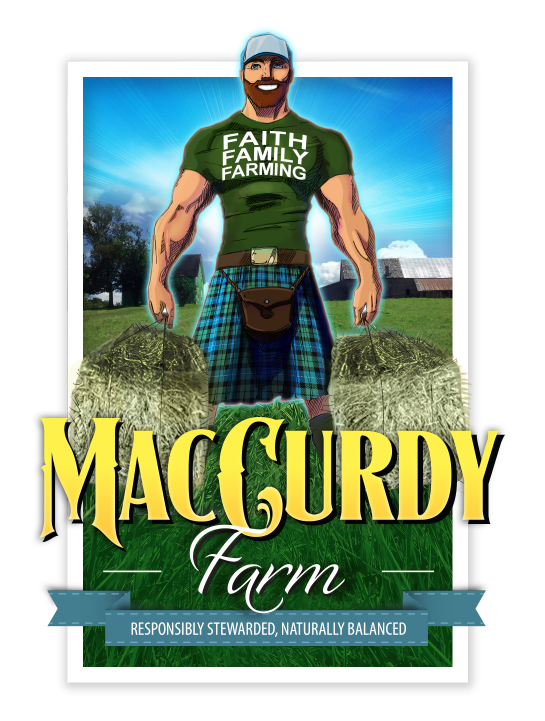 I have the luxury of family owned and operated farm land but without my teaching career I would not be able to work towards a self-sustainable farm. Start small, not big. It does not matter whether you raise 25 or 250 chickens, what matters is that you have provided your customers with a food item that they can assuredly say was raised properly and fit for human consumption. Be able to roll with the punches. Sometimes you’ll have to deal with a disgruntled customer or a person who does not believe in what you are doing. Try as much as possible to find a solution. On the other hand, opportunities for increased sales with your product might present themselves. In this case, do not hastily commit to anything but inform the interested party of the seasonality of your product and the scale to which you can produce and then go from there. In an ideal world (in my opinion) everyone would have a seasonal garden and livestock preparations. Is there anything better than homegrown organic and pastured food? However, today, grass fed beef, turkey, chicken, and pork is produced in large part by small family farms and this has created a following by those passionate about local food supply. Terms like organic, pastured, natural, and grass-fed are starting to push the envelope in terms of what is considered healthy and good for the human body. Farmer’s who embrace these counter food culture principles are becoming the “new hipster” in the sense that they stand opposed to mainstream food supply on the grounds of health. When my children eat our chicken, I have a great deal of comfort and ease having known where it comes from in my neck of the woods.